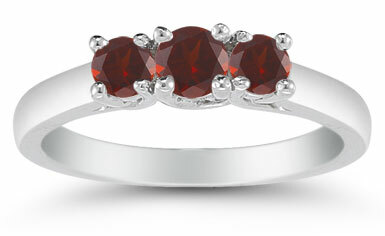 A rich scarlet color gives an opulent style to this three stone ring from Apples of Gold. A triple play of garnet gemstones makes a bold statement, with the center garnet measuring 4mm and the side stones at 3.5mm. The striking red color offers an adventurous contrast to the white gold setting. Each garnet is captured by four white gold prongs to keep it secured, while the white gold band keeps a sleek and stunning profile for this glorious garnet trio. 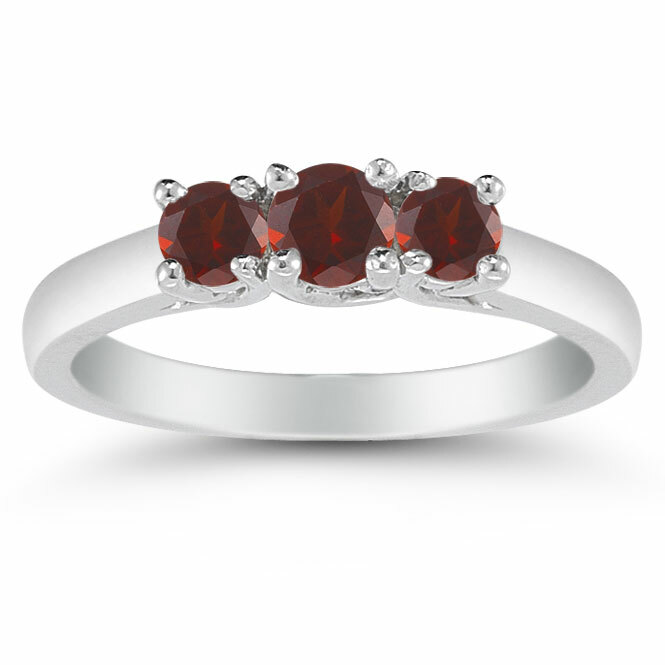 We guarantee our Three Stone Garnet Ring, 14K White Gold to be high quality, authentic jewelry, as described above.